Katherine has been with The United Arc since she was nineteen. Before that she lived with her family. Katherine is the youngest of seven children! She has three brothers and three sisters. Some of her siblings live nearby. She is particularly close with her brother Ed and his wife Carol. After moving into The United Arc group home, she became close with her housemate Holly. Katherine works at Mayhew Steel five days a week, packaging tools. She likes to flex her muscles to show how strong work makes her arms! Katherine takes painting classes once a week at Michael's in Hadley. Her oil paintings feature flower arrangements and landscapes. Katherine explains, "Each class is two hours long and the class votes on what to paint. It is fun to have The United Arc staff Charlene and Brenda come to class with me. I buy the frames for my paintings at Michael's, then frame the paintings myself. Painting is fun and relaxing. It keeps me busy and is a way to unwind from the day after work. It helps me relax and get good sleep. It feels good to have my paintings on display at The United Arc." Katherine donated four of her paintings to The United Arc Annual Gala & Auction. She says, "At the event, I was excited to see my paintings on display. It felt good to hold them up for the Live Auction. It was exciting to have the money from those paintings go to The United Arc." Katherine also bid on auction packages and won three of them! "I was shocked to win," she said. Katherine's paintings are attracting attention. Two of the paintings she has on display at The United Arc main office have been sold! Katherine is delighted to sell her work. "I am using the money to pay for more painting classes." Katherine takes painting classes once a week at Michael's in Hadley. Her oil paintings feature flower arrangements and landscapes. Katherine explains, "Each class is two hours long and the class votes on what to paint. It is fun to have The United Arc staff Charlene and Brenda come to class with me. I buy the frames for my paintings at Michael's, then frame the paintings myself. Painting is fun and relaxing. It keeps me busy and is a way to unwind from the day after work. It helps me relax and get good sleep. It feels good to have my paintings on display at The United Arc." Katherine donated four of her paintings to The United Arc Annual Gala & Auction. She says, "At the event, I was excited to see my paintings on display. It felt good to hold them up for the Live Auction. It was exciting to have the money from those paintings go to The United Arc." Katherine also bid on auction packages and won three of them! "I was shocked to win," she said. Katherine's paintings are attracting attention. Two of the paintings she has on display at The United Arc main office have been sold! Katherine is delighted to sell her work. "I am using the money to pay for more painting classes." In addition to donating her creations, Katherine volunteers! "I used to volunteer at The Stone Soup Café once a week, until I started working more hours. I like volunteering with Mary Rose from the church. Volunteering feels good. I help clean in the kitchen after we feed people. I do the silverware, and I fly right through it. 'Why is Katherine better than us at this?' ask other volunteers. That makes me feel appreciated. I'm excited to help with the Thanksgiving Dinner this year." Since it is rare for her to have time to volunteer now, she is eager to help with the Inclusive Thanksgiving Dinner at the Community Café in Greenfield. Stone Soup Café & The United Arc are collaborating for the Holiday feast. Katherine is an athlete! She is on a Special Olympics Bocce team, and in spring 2016, she won a silver medal! The team practices regularly in the spring. "I learned to play the game at my cousin Harvey's house, then decided to do it in the Special Olympics. Last time we got to stay overnight in Marlborough. It is a big team, so I have a partner, Dorothy, to work with on the team. I knew we were going to win the Silver Medal. I just felt it." Katherine says, The United Arc is like family. I feel close with the staff." 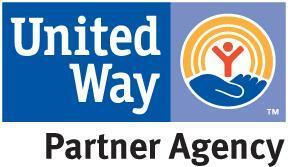 The United Arc has a solid history of providing quality services for people with intellectual and developmental disabilities since 1951. Every year, we provide services to 3,000 individuals and their families in Franklin, Hampshire, and Hampden Counties, and the North Quabbin Region of Massachusetts. We are honored to support Katherine in achieving her goals, and see her deepen her community connections.